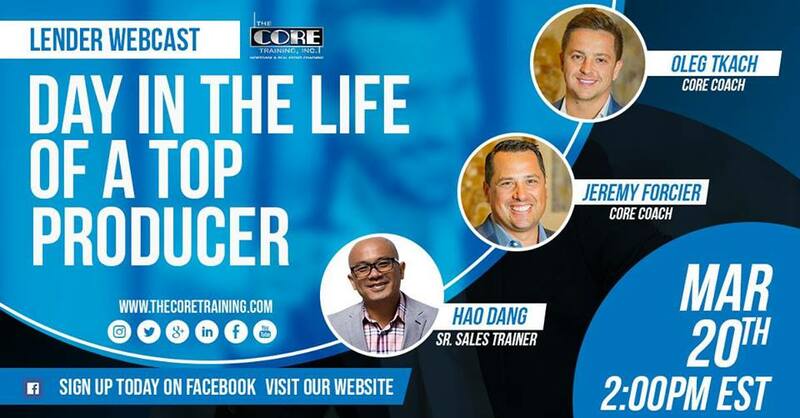 Upcoming Events at The CORE Training, Inc. In this webcast, we will show you the day in the life of top producers Jeremy Forcier and Oleg Tkach. You'll be able to get a behind the scenes look at what activites top producing mortgage lenders participate in each day.